It's 1965 in a tight-knit working-class neighborhood in Queens, New York, and Ruth Malone--a single mother who works long hours as a cocktail waitress--wakes to discover her two small children, Frankie Jr. and Cindy, have gone missing. Later that day, Cindy's body is found in a derelict lot a half mile from her home, strangled. Ten days later, Frankie Jr.'s decomposing body is found. Immediately, all fingers point to Ruth. As police investigate the murders, the detritus of Ruth's life is exposed. Seen through the eyes of the cops, the empty bourbon bottles and provocative clothing which litter her apartment, the piles of letters from countless men and Ruth's little black book of phone numbers, make her a drunk, a loose woman--and therefore a bad mother. The lead detective, a strict Catholic who believes women belong in the home, leaps to the obvious conclusion: facing divorce and a custody battle, Malone took her children's lives. Pete Wonicke is a rookie tabloid reporter who finagles an assignment to cover the murders. Determined to make his name in the paper, he begins digging into the case. Pete's interest in the story develops into an obsession with Ruth, and he comes to believe there's something more to the woman whom prosecutors, the press, and the public have painted as a promiscuous femme fatale. Did Ruth Malone violently kill her own children, is she a victim of circumstance--or is there something more sinister at play? Emma Flint was born in Newcastle upon Tyne in northeast England. She studied English and History at the University of St Andrews and is a graduate of the Faber Academy writing program in London. Since her childhood, Flint has read true-crime accounts, developing an encyclopedic knowledge of real-life murder cases and of notorious historical figures, as well as a fascination with unorthodox women--past, present and fictional. Flints works as a technical writer in London, where she lives. 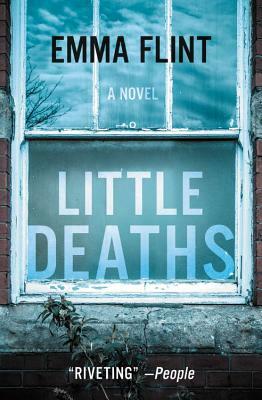 Little Deaths is her first novel.